It’s an icy day deep in the winter of 1944 as a crowd of Jewish Hungarians are shoved—shivering and frightened—to the edge of the Danube River in Budapest, Hungary. There are women and children. Some are tied together in groups of three. All have been forced to strip naked and step out of their shoes onto the frozen riverbank. Their captors step forward one by one and shoot into the crowd. As each bullet finds its mark, the bodies go tumbling together into the Danube, where the icy waters sweep them away. This was just one episode in a litany of killings that happened in and around Hungary during the latter years of the Holocaust. The Arrow Cross, a fascist party established in 1937 by Ferenc Szálasi and known for its militant anti-Semitism, came fully into power in March 1944 and used its position to terrorize the Hungarian Jews. Nearly 80,000 Jews were expelled from Hungary in a death march to the Austrian border, and in just eight weeks, some 424,000 Jews were deported to Auschwitz. By the end of the Holocaust, around 565,000 Hungarian Jews had been murdered. Those who weren’t deported or marched out of the country faced death on the banks of the Danube. The Arrow Cross used the river because it carried the bodies of the murdered away from Budapest. Now, over 70 years later, the modern State of Israel is returning to reclaim the remains of those killed and give them a proper and respectful Jewish burial. In 2011, human remains were found during construction work on the Margaret Bridge overlooking the Danube. Forensic investigation showed the fragments belonged to more than 20 people, including women and children, who had probably died during World War ll. The investigation turned up a series of inconclusive dead ends, and Hungarian authorities eventually put the bones in storage. The remains stayed there until August 2015, when an anthropology student ran DNA tests and found at least nine of the 15 samples were almost certainly Ashkenazi Jews from Europe, while another six were likely linked to Holocaust victims. The remains were buried at a Jewish cemetery in Budapest. This was the spark that lit a much larger fire. If these remains had been found, could there be others? Israeli officials met with the Hungarian prime minister and received permission to send a team of divers to plumb the depths of the Danube in and around Budapest for further remains. ZAKA, an Israeli victim identification group and search and rescue crew, carried out a series of dives in January and February to look for the remains of those killed. The recovery operation shined light on a growing controversy in Hungary surrounding the Holocaust and how it should be represented in the country’s memory. There was already disagreement over the new Hungarian Holocaust museum, titled “House of Fates,” that came under criticism from Yad Vashem, the Israeli Holocaust museum, for ignoring anti-Jewish laws passed by the Hungarian government in 1938. Yad Vashem also accused the Hungarian project of overlooking the deaths of tens of thousands of Hungarian Jews in forced labor imposed by the government, and the participation of Hungarian authorities in the deportation of Hungarian Jews to Auschwitz. 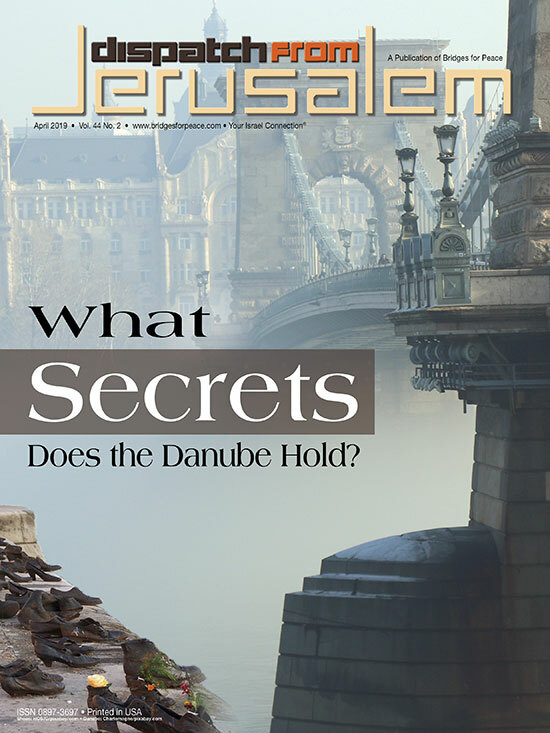 When Israel arrived with their request to dive the Danube, they faced complacency at best, and hostility at worst. It took three years for the team to receive the necessary permits to carry out the search and recovery operation. Shlomo Kovash, the head of the Unified Hungarian Jewish Congregation, said it doesn’t matter whether the matter is controversial. All that matters is the “major mitzvah (good deed)” of bringing the victims to burial. Israeli Interior Minister Aryeh Deri said in a video statement along the banks of the Danube that the remains should be sent to Israel for a Jewish burial, but it hasn’t yet been decided whether the burial will be in Israel or in Hungary. Despite the evil intentions of the Arrow Cross in 1944, the waters of the Danube couldn’t drown out the cries of those killed on its banks. Years later, Israel, a tiny nation living again on her ancient birthright, is coming back to answer those cries that none be left to the dust.